During the Second World Human Rights Forum, the National Observatory of Child Rights in Morocco (ONDE) and the United Nations Millennium Campaign (UNMC) organized a high level panel discussion on strengthening participation of people, particularly children and youth, in defining the UN sustainable development agenda. 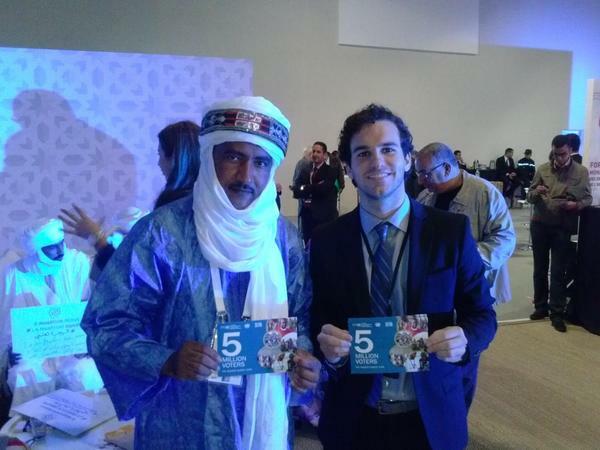 The forum took place in Marrakesh from 27-30 November 2014, building on the first World Human Rights Forum held in Brasilia in December 2013. 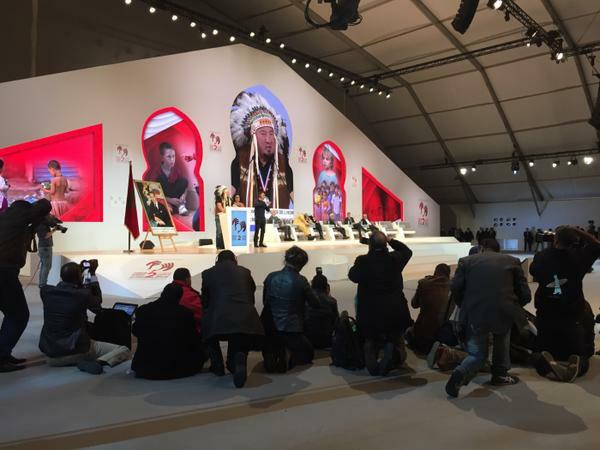 Ravi Karkara, co-chair of the Policy Strategy Group for the World We Want 2015 (WWW2015), commended the government of Morocco for bringing together human rights activists and sustainable development practitioners to discuss the post-2015 development agenda. He called for establishing partnerships with children and young people, and for accountability panels in the implementation and monitoring of this agenda. The Forum also celebrated the 25th Anniversary of the UN Convention on the Rights of the Child (UN-CRC). 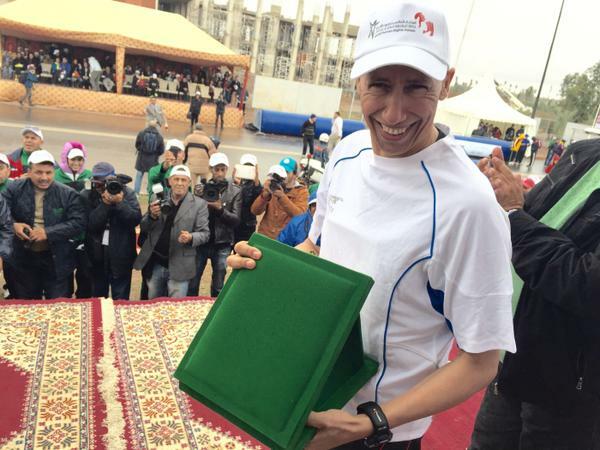 The legendary Olympic gold medal runner Saïd Aouita participated in a five kilometer road race to draw attention to the need to fulfil the human rights of the most marginalized boys and girls. Juan Chebly, Coordinator of the World We Want 2015, highlighted the importance of social inclusion and participation in building a sustainable development agenda with human rights at its core. Jasmine Jaruphand, Programme Coordinator of UNMC called upon children and young people to strengthen their participation in the MY World 2015 Survey and invited them to participate on the online discussions on the WWW2015. Susan Alzner, Officer in Charge of the UN Non-Governmental Liaison Service (UN-NGLS) New York, called for strengthening of civil society organizations worldwide and drew attention to their pivotal role in ensuring a well-defined, people-centered sustainable development agenda and holding governments and the private sector accountable. On the occasion of the 25 year anniversary of the UN-CRC, Dr. Mustapha Denial emphasized that the rights of the most marginalised boys and girls, including children with disabilities, indigenous and minority children, must be respected, protected and fulfilled. Najib Somoue of ONDE expressed the National Observatory’s commitment to realizing the human rights and an inclusive sustainable development agenda in Morocco. Kansas City, MO (August 6, 2014) For the first time, the United Nations is allowing people to have a direct say in shaping a better world, and Children International is helping the nearly 340,000 impoverished children and youth it serves take advantage of this opportunity. The UN has created two platforms – “MY World” and “The World We Want 2015” – with a specific version of the latter for children under 18 called “The World Children Want.” These platforms allow people to voice their opinions about what should be a priority for the global development process starting in 2015, at which point the UN’s Millennium Development Goals will expire. The UN has been working with governments everywhere to define the next global agenda to address extreme poverty and preserve the planet. The quantitative data from “MY World” and the qualitative data from “The World We Want 2015” will continue to inform these processes and be used by decision-makers around the world. “I want this to be the most inclusive global development process the world has ever known,” UN Secretary General Ban Ki-moon said in a video about creating the post-2015 agenda. Children International is making sure that the hundreds of thousands of young people living in the impoverished communities it serves are able to have their voices heard by the UN through the “MY World” and “The World Children Want” surveys. Children International computer labs are available in 10 countries for children to fill out the surveys online, and Children International staff and volunteers are also assisting children and youth with paper ballots. Several of Children International’s locations will have the children and youth fill out the surveys as part of their International Youth Day activities on August 12. Anyone can add their voice to the “MY World” survey, and children between the ages of 8 and 18 can add their voice to “The World Children Want” survey. Join the “World We Want 2015” discussion! See where Children International works to serve impoverished children and youth around the world. Children International prepares children and youth to escape the traps of poverty by supporting their critical needs, building resilience and engaging them in transformative activities. Children International accomplishes this by providing crucial benefits and compassionate care through easily accessible, modern community centers. Children International’s presence, programs and supporters have a positive impact on children, youth, families and communities; provide protection; encourage self-sufficiency; and serve as catalysts for change. For more information about Children International, visit www.children.org. During the MY World Global Week of Action (May 5-11, 2014) the adolescent and youth organization Yuwalaya coordinated with the UN Resident Coordinator Office of Nepal and various other youth organizations and schools to raise awareness and votes in Nepal. Through their joint efforts, they were able to collect more than 15,000 votes – doubling the amount from the previous year. Yuwalaya coordinated with more than 50 youths from various colleges and youth clubs of Kathmandu to do the survey. The volunteers were honored by the United Nations Nepal Resident Coordinator’s Office at the UN House in Lalitpur on Tuesday, 17 June for their contribution to the survey. As the world gears up to decide on the next set of global development goals, girls from across Rwanda are making their voices heard. Last week, Girl Hub Rwanda’s Ni Nyampinga girl ambassadors helped 80,000 copies of the MyWorld Survey – the UN’s public consultation on the post-2015 Millennium Development Goals (MDGs) – reach youths in every corner of the country. “Girls across Rwanda are leading the charge to amplify youth voices in the post-2015 agenda,” said Amina Mohammed, special adviser to the UN secretary-general on post-2015 development planning.